Without a doubt the emergence of HIV/AIDS in the early 1980’s resulted in radical changes to how we approach the health of people who inject drugs. In many parts of the world the response to this epidemic was counter to anything that had been done previously to address the health needs of people who inject drugs. The rapid development of needle syringe programs and extension of opioid pharmacotherapy programs during the 1980’s in some regions, has been effective in dramatically reducing new HIV infections. Other areas in both the first and third world economies have been slower to respond, resulting in local epidemics that have had a huge impact on all in our communities. While the progress of the last 30 years or so is to be celebrated there is much left to do. If we truly want to be the first AIDS free generation in our lifetimes then we need to commit ourselves to an approach that is not guided by some form of moral opposition to drug use, but instead is founded in the values of humanitarianism and utilitarianism. Only once we have forsaken policies guided by some misplaced paternalism can we truly implement strategies that operate effectively in the real world. This World AIDS Day I call on anyone who truly wants to see the eradication of HIV/AIDS in our lifetime to support the following principles. A study conducted between 1978 and 1999 compared HIV prevalence in 103 cities around the world. In the cities that had introduced Needle and Syringe Programs, the HIV prevalence had decreased by an average of 19 per cent annually. In the cities that had not introduced Needle and Syringe Programs, the HIV prevalence had increased by an average of 8 per cent annually. 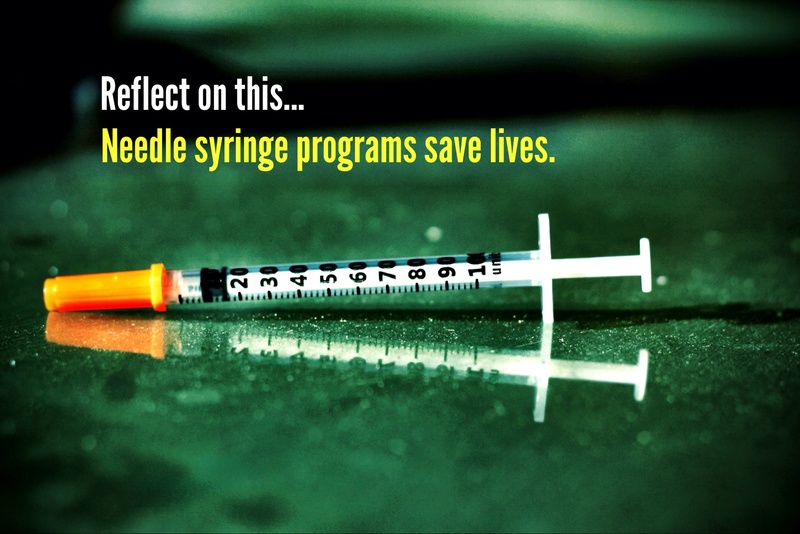 The overwhelming body of evidence supports the fact that Needle Syringe Programs reduce HIV transmission. The fact that injecting drug users remain a high risk group in regard to HIV is not a reflection on their drug use, it is instead evidence that we have not done enough to make sterile injecting equipment available to the people who require it. There remains vast tracts of our globe where no needle syringe programs are available. Even in those countries where there are established needle syringe programs, prisons remain a hotbed of blood born virus infection in lieu of needle syringe programs catering to the needs of the people our society decides to incarcerate. We must ensure that all in our communities who require sterile injecting equipment have access to it. Provision of methadone to people who are opioid dependent is well evidenced to reduce risk of HIV transmission. Twenty-eight studies involving methadone treatment were included in the review. Methadone maintenance treatment is associated with statistically significant reductions in injecting use and sharing of injecting equipment. Despite this evidence access to methadone and other opioid substitution pharmacotherapies is not available in many countries. In other jurisdictions access is impeded by lack of adequate resourcing or by regulations that impede accessibility to these important medications. In my own home state of Victoria, Australia there have been calls to further restrict take away doses of methadone. One of the implications of this will undoubtedly be a corresponding increase in the risk of potential HIV transmission. We must make methadone as accessible as possible. Moral arguments against the provision of safe, sterile environments where people can consume their drugs are disingenuous at best. Not providing these spaces will not discourage people from injecting drugs, just as it is apparent that the provision of these services has done nothing to increase the number of people who do inject drugs. The provision of drug consumption rooms enables people to receive adequate care, and an interface between injecting drug users and broader health services. By obtaining their injecting equipment at point of use, people are assured that their equipment is sterile and additionally can receive information that enhances injecting practice that eradicates risk of blood borne virus transmission. Often catering to the more marginalised drug users in our communities, who are by dint of this marginalisation, often also the highest risk groups in terms of HIV exposure within injecting drug communities, the provision of drug consumption rooms can only be seen as a just and humanitarian response to the HIV epidemic. If we truly want to see an AIDS free generation, we need to ensure that we adequately address the needs of all in our community and that includes people who inject drugs.